DMV.com was created to help simplify your life by providing you with all the vehicle related information and Montana DMV services you may need, in one place. Quickly find information and services regarding driving records, vehicle registration, drivers license renewal, license plate renewal, getting a learners permit, and finding a Montana Department of Motor Vehicles approved traffic school. The MVD requires a Montana drivers license for residents who wish to drive. Learn how to get a drivers license, renew a license and more. Order your Montana driving record conveniently online from the MVD. Requesting MT driving records online is fast, safe and easy. Visit our Montana online car insurance center to find discount car insurance. The MT MVD requires motorists to have minimum car insurance. Completing traffic school in Montana allows motorists to obtain an insurance discount. Discover the benefits of MT defensive driving school and enroll online. Take an MT DMV practice exam to test your driving knowledge before taking your driver exam. Taking a DMV practice test saves time and money. MT car owners must get car registration documents from the DMV. Discover car registration services in MT, from new registration to renewal. Montana drivers ed classes are required by the MVD for some young driver’s license applicants. Learn about the benefits of online drivers ed in MT and sign up or a course today. An MT vehicle bill of sale provides an official record when you buy or sell a car. Learn how to get a bill of sale form through the Montana DMV. Learn how to start a Montana traffic ticket defense and how to pay a speeding ticket. Paying traffic tickets online in MT saves time..
A first DUI in Montana results in jail time, fines and MVD penalties such as license suspension. Learn about MT DUI laws and DUI penalties. Buying a car online in Montana can simplify your DMV registration experience. Buy a car online in MT with the help of our resources. Find the Montana DMV location closest to you. You can obtain the MT DMV services you need at a DMV office. DMV.com makes you avoid all DMV’s bureaucracy and offers you easy guides for drivers license, vehicle registration, license plate, emissions and other motor vehicle issues online. You don’t have to queue anymore! 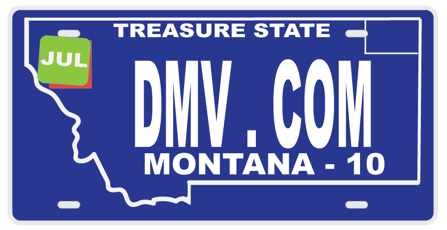 All the info you need regarding the Montana DMV are one click away from you. Let DMV.com guide you through the fastest way to deal with all the requirements Montana BMV imposes. Being a privately owned website makes us free from any government liaison or bureaucracy. Our key priority is to provide you with the latest info in the fastest possible way from the comfort of your home. If you own a car, motorcycle or truck, no worries, you’ll find exactly what you need about your type of vehicle on our website. In our vast array of articles are included all forms and manuals required for vehicle registration or obtaining an MT driver’s license, plus other topics like auto insurance rates, renewing licenses and much more. DMV.com is very simple and easy to navigate. You only have to use the “search” feature or the navigation sections to help you find exactly what you’ve been searching for. Visit our Facebook page, become our fan, interact with us and help us provide even better, more up-to-date info. Please feel free to comment on anything from our pages to the services offered at your local office.